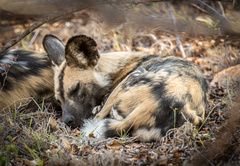 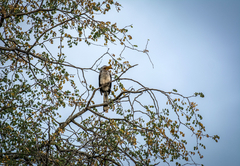 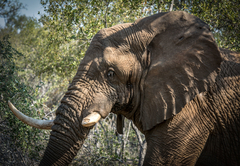 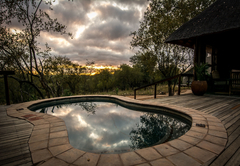 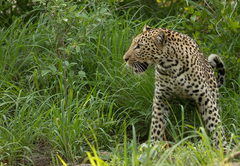 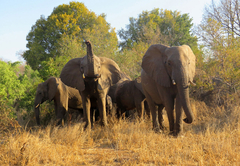 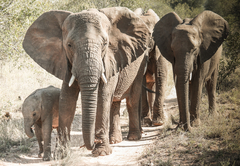 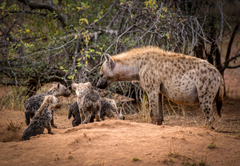 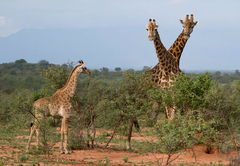 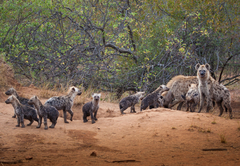 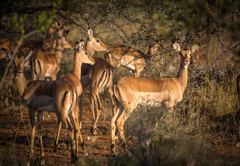 Little Garonga is a Limpopo game lodge providing a wildlife experience for tourists visiting Valley of the Olifants. 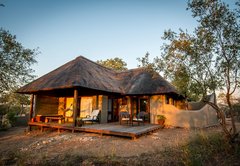 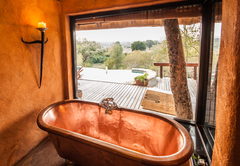 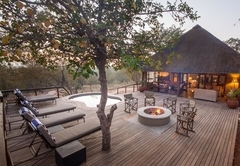 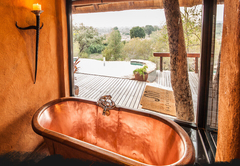 Little Garonga offers accommodation in a luxury, private lodge situated in the greater Makalali Conservancy, west of the Kruger National Park. 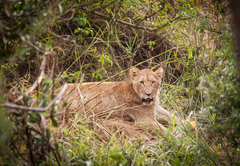 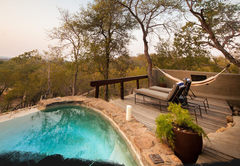 Little Garonga offers guests the opportunity for a unique wildlife encounter and to relax in a serene wilderness environment. 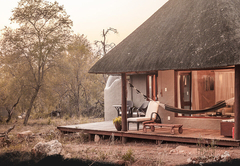 Little Garonga echoes the surroundings of the bush's textured earthy colours by incorporating simplistic lines into every fine detail with only pure high quality linen to ensure an indulgent and enticing stay. 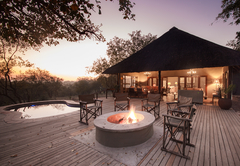 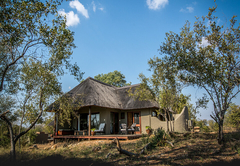 The lodge is ideal for small groups or families to absorb the smaller niceties of the nearby animal and bush landscape. 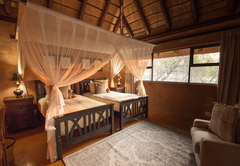 Little Garonga Game Lodge features three well-appointed thatched suites, each with expansive full en-suite bathrooms including an indoor and outdoor shower as well as a private deck with an inviting hammock to relish in the surrounding beauty. 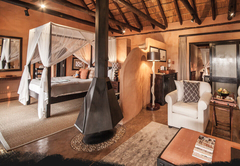 All suites are situated around a centralised indoor and outdoor lounge area, a swimming pool and a built in braai/BBQ area. 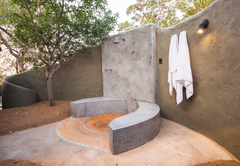 For the ultimate comfortable stay we have included amenities such as air-conditioning, mini-bars, bathrobes and slippers, luxury bathroom amenities, hairdryer and room safes. 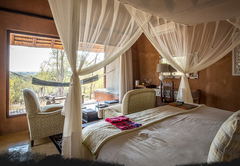 The lodge also has its own host, chef, waiter and housekeeper so is totally self-contained and run separately from the Safari Camp. 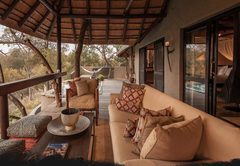 This exclusive, luxurious and secluded villa can accommodate two adults and two children in two separate bedrooms.The villa boasts a private plunge pool, an expansive bathroom, indoor and outdoor lounge areas and air-conditioning. 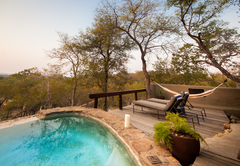 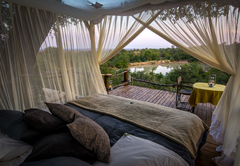 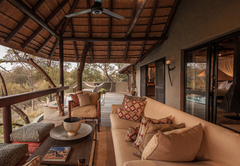 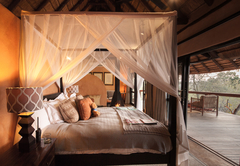 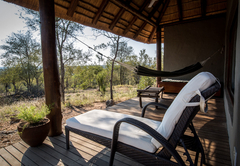 A beautiful and spacious suite featuring a private deck with hammock overlooking the natural bush landscape. 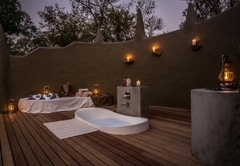 The suite boasts a mini bar, air-conditioning, a full en-suite bathroom with an indulgent bath, indoor and outdoor showers. 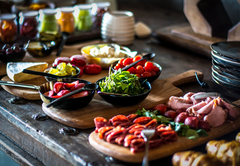 Guests have the option to have their own private table for breakfast and lunch. 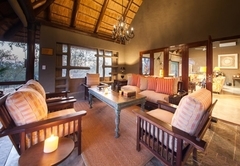 We vary the location and theme for dinner by providing either a communal round table in the main lounge, or a boma dinner, or private tables which all have their own unique position. 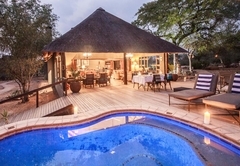 During low season (winter months) we do not serve lunch as breakfast is much later (10h00), but we do serve a high tea just before the afternoon game activity. 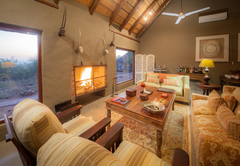 In winter time there is a huge fireplace where guests can gather round before dinner. 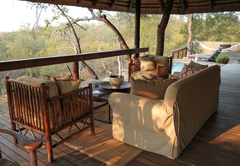 We also do breakfasts out in the bush. 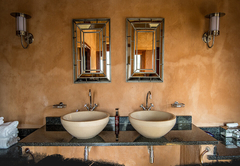 • Wine Cellar (An excellent selection of South African wines are cooled here). 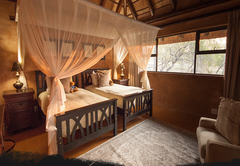 This exclusive, luxurious and secluded villa can accommodate two adults and two children in two separate bedrooms. 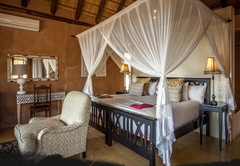 The villa boasts a private plunge pool, an expansive bathroom, indoor and outdoor lounge areas and air-conditioning. 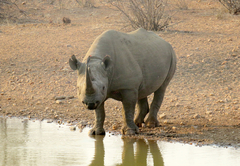 Response timeLittle Garonga typically responds to requests in 5-10 minutes. 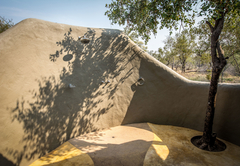 Child policyAccommodation is suitable for children over the age of 6. 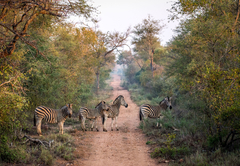 Please take note the Garonga Gate is closed from 18h00 to 07h00 whereby no access is permitted.